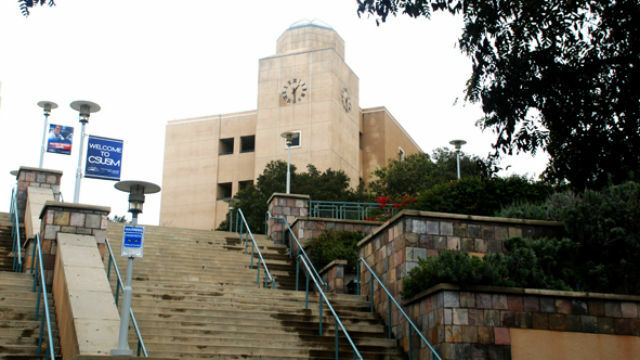 Stepping up its push for a new labor contract, the union representing California State University faculty announced plans Monday to carry out a five-day strike in April at all 23 campuses — including San Diego State and Cal State San Marcos — if a deal isn’t reached before then. “We’ve said all along that we don’t want to strike, but we will if we have to,” said Jennifer Eagan, president of the California Faculty Association. “We must take a stand so that we can support our families, protect our profession and provide high quality education for our students. According to the union, a walkout will be held April 13, 14, 15, 18 and 19 at all 23 campuses if a deal isn’t struck before then. Members of the CFA have already voted to authorize a strike. CSU officials said the collective bargaining process is continuing, and a walkout can’t occur until that process ends, but preparations are still being made in case a strike does happen. The CFA is pushing for a 5 percent salary increase for faculty members, but the CSU is offering 2 percent. CSU officials have said a 5 percent increase for CFA faculty would cost $68.9 million over the 2 percent the university is offering. The cost to the university could balloon to $107.2 million when other labor unions ask for the same increase, according to the CSU. About half of the CSU’s 25,000 faculty are members of the CFA, according to the university.